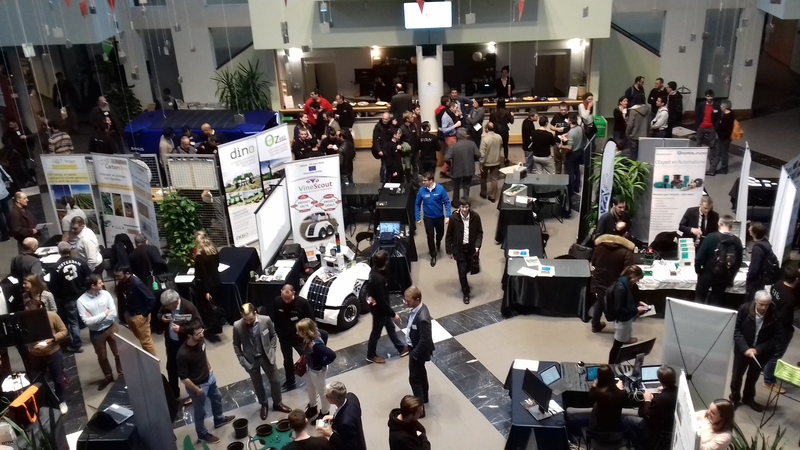 The second VineScout prototype VS-2 was presented to the robotics community in the third edition of the international tradeshow FIRA 2018 (Forum International de la Robotique Agricole). VineScout had its own booth in the main exhibition area where the robot occupied the center of the stand and the promotional video was displayed to attendees. The event centered on farm robots and related autonomous equipment. The coordinator of the project, Francisco Rovira Más, gave a short talk presenting the project, the last robot prototype, and the results of the most recent testing season.